The clamping log carriage is used to clamp the wood mass using pliers and to transport this mass into a frame saw. 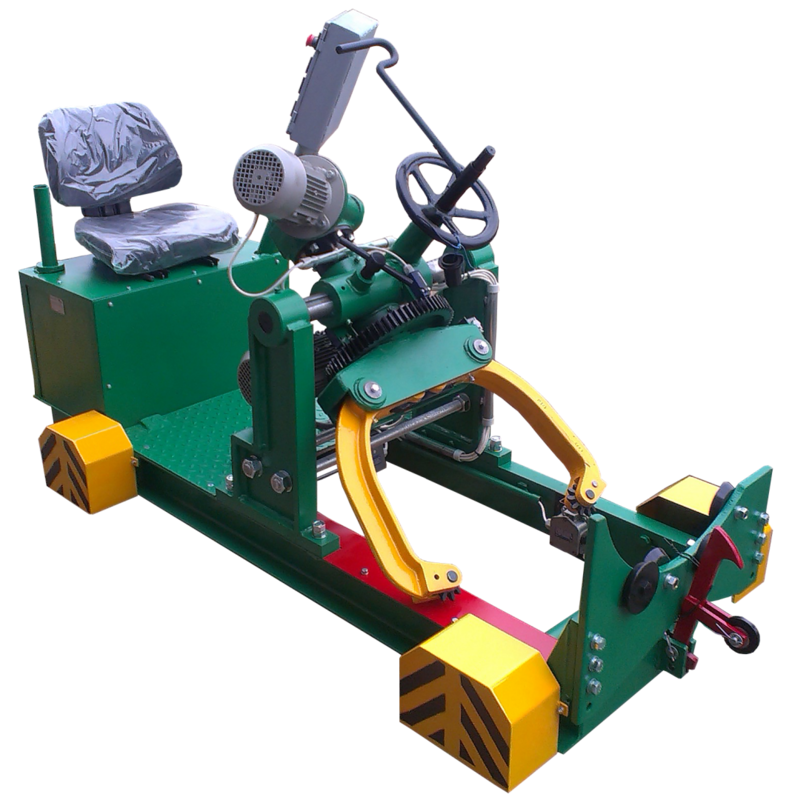 The whole process from loading, clamping, rotation and centering on both the clamping and auxiliary carriage to the transport of the mass to the frame saw can be done from the seat placed in the log carriage. The control process is performed via the control panel and the pedals. You can also control the frame saw from the control panel.